This activity feed shows all Stephanie (Hooper) Barney's 6577 contributions to our community's mission to connect the human family on one free tree. You can also view all recent changes on WikiTree, the changes to profiles with surnames you're following, or the changes to profiles with a particular surname such as . Would you like to thank Stephanie for helping with our mission to connect the human family on one tree? Click thank-you links by any particularly valuable contributions below. If Stephanie made helpful contributions to her own family history award her a Family Star. If Stephanie has helped you or someone else, award her a Generous Genealogist Star. If Stephanie has made many valuable contributions to the WikiTree community, beyond her own family history, award her a Community Star. 01:04: Stephanie (Hooper) Barney added Thelma Angeline Walker (1916-1985) as child for Nannie Alice (Yohn) Walker (1886-1967). [Thank Stephanie for this] 01:04: Stephanie (Hooper) Barney created Thelma Angeline Walker (1916-1985). 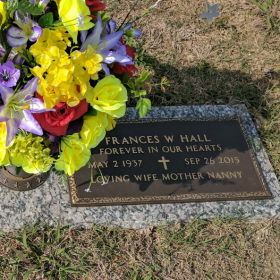 [Thank Stephanie for this] 00:27: Stephanie (Hooper) Barney edited the Status Indicators for Nannie Alice (Yohn) Walker (1886-1967). 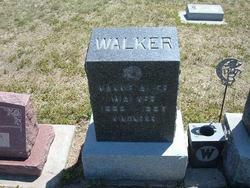 [Thank Stephanie for this] 00:26: Stephanie (Hooper) Barney edited the data for Nannie Alice (Yohn) Walker (1886-1967). 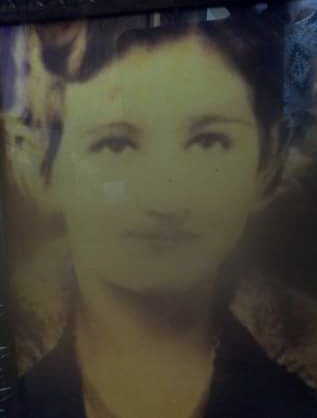 (Merged Walker-37687 into Yohn-139: incorrectly listed last name) [Thank Stephanie for this] 00:26: Stephanie (Hooper) Barney edited the data for Nannie Alice Walker (1886-1967). 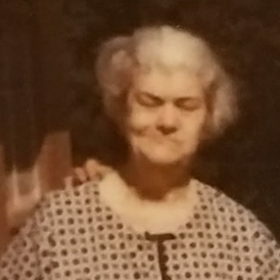 (Merged Walker-37687 into Yohn-139) [Thank Stephanie for this] 00:26: Stephanie (Hooper) Barney created Nannie Alice (Yohn) Walker (1886-1967). [Thank Stephanie for this] 00:20: Stephanie (Hooper) Barney added Paul Walker (1905-1905) as child for Nannie Alice Walker (1886-1967). [Thank Stephanie for this] 00:20: Stephanie (Hooper) Barney created Paul Walker (1905-1905). [Thank Stephanie for this] 00:05: Stephanie (Hooper) Barney added Walker-37687-1.jpg as Background Image for Nannie Alice Walker (1886-1967) [Thank Stephanie for this] 00:05: Stephanie (Hooper) Barney edited the Background Image for Nannie Alice Walker (1886-1967). [Thank Stephanie for this] 00:05: Stephanie (Hooper) Barney uploaded Walker-37687-1.jpg for Nannie Alice Walker (1886-1967). [Thank Stephanie for this] 00:03: Stephanie (Hooper) Barney edited the Primary Photo for Nannie Alice Walker (1886-1967). [Thank Stephanie for this] 00:03: Stephanie (Hooper) Barney uploaded Walker-37687.jpg for Nannie Alice Walker (1886-1967). 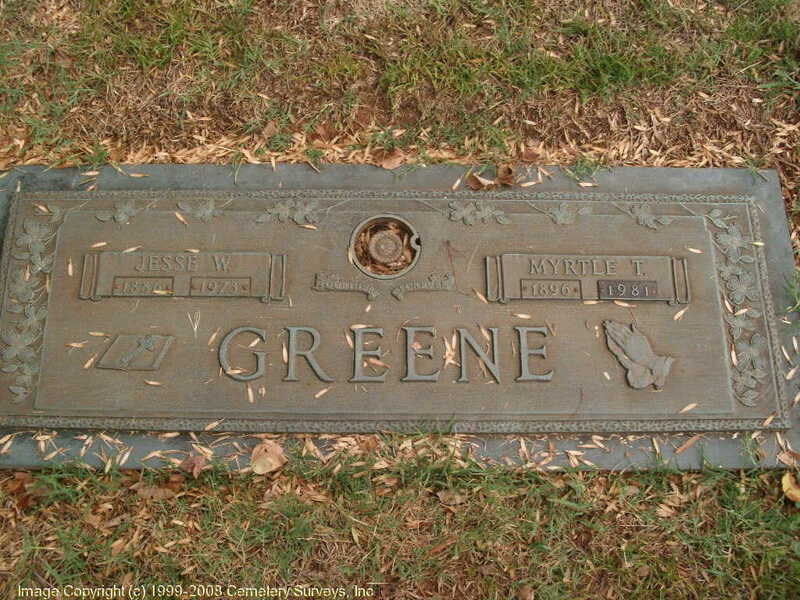 18:48: Stephanie (Hooper) Barney edited the data for Myrtle Arminda (Taylor) Greene (1896-1981). [Thank Stephanie for this] 18:48: Stephanie (Hooper) Barney added Taylor-57370-1.jpg as Background Image for Myrtle Arminda (Taylor) Greene (1896-1981) [Thank Stephanie for this] 18:48: Stephanie (Hooper) Barney edited the Background Image for Myrtle Arminda (Taylor) Greene (1896-1981). [Thank Stephanie for this] 18:47: Stephanie (Hooper) Barney uploaded Taylor-57370-1.jpg for Myrtle Arminda (Taylor) Greene (1896-1981). [Thank Stephanie for this] 18:47: Stephanie (Hooper) Barney edited the Primary Photo for Myrtle Arminda (Taylor) Greene (1896-1981). [Thank Stephanie for this] 18:47: Stephanie (Hooper) Barney uploaded Taylor-57370.jpg for Myrtle Arminda (Taylor) Greene (1896-1981). 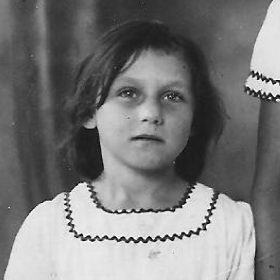 [Thank Stephanie for this] 18:44: Stephanie (Hooper) Barney added Myrtle Arminda (Taylor) Greene (1896-1981) as child for Martha Louise (McClure) Taylor (1855-1933). [Thank Stephanie for this] 18:44: Stephanie (Hooper) Barney created Myrtle Arminda (Taylor) Greene (1896-1981). [Thank Stephanie for this] 18:13: Stephanie (Hooper) Barney added Arthur F Taylor (1888-1905) as child for Martha Louise (McClure) Taylor (1855-1933). [Thank Stephanie for this] 18:13: Stephanie (Hooper) Barney created Arthur F Taylor (1888-1905). [Thank Stephanie for this] 17:14: Stephanie (Hooper) Barney uploaded Stiles-3617-3.jpg for Willa Frances (Stiles) Hall (1937-2015). [Thank Stephanie for this] 17:13: Stephanie (Hooper) Barney added Stiles-3617-2.jpg as Background Image for Willa Frances (Stiles) Hall (1937-2015) [Thank Stephanie for this] 17:13: Stephanie (Hooper) Barney edited the Background Image for Willa Frances (Stiles) Hall (1937-2015). [Thank Stephanie for this | 1 thank-you received] 17:13: Stephanie (Hooper) Barney uploaded Stiles-3617-2.jpg for Willa Frances (Stiles) Hall (1937-2015). [Thank Stephanie for this] 17:11: Stephanie (Hooper) Barney uploaded Stiles-3617-1.jpg for Willa Frances (Stiles) Hall (1937-2015). [Thank Stephanie for this] 17:10: Stephanie (Hooper) Barney edited the Primary Photo for Willa Frances (Stiles) Hall (1937-2015). [Thank Stephanie for this | 1 thank-you received] 17:10: Stephanie (Hooper) Barney uploaded Stiles-3617.jpg for Willa Frances (Stiles) Hall (1937-2015). 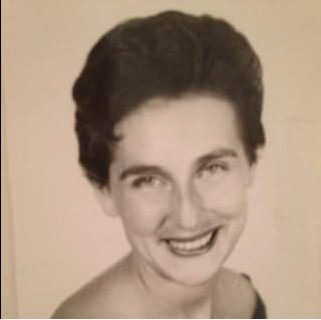 [Thank Stephanie for this] 17:02: Stephanie (Hooper) Barney edited the data for Willa Frances (Stiles) Hall (1937-2015). [Thank Stephanie for this | 1 thank-you received] 17:00: Stephanie (Hooper) Barney added Willa Frances (Stiles) Hall (1937-2015) as child for Mattie Ella (Taylor) Stiles (1893-1964). [Thank Stephanie for this] 17:00: Stephanie (Hooper) Barney created Willa Frances (Stiles) Hall (1937-2015). [Thank Stephanie for this | 1 thank-you received] 16:45: Stephanie (Hooper) Barney edited the Preferred Name and Status Indicators for Maida Lou (Stiles) Taylor (1934-). [Thank Stephanie for this | 1 thank-you received] 16:44: Stephanie (Hooper) Barney edited the data for Maida Lou (Stiles) Taylor (1934-). [Thank Stephanie for this | 1 thank-you received] 16:40: Stephanie (Hooper) Barney added Maida Lou (Stiles) Taylor (1934-) as child for Mattie Ella (Taylor) Stiles (1893-1964). [Thank Stephanie for this] 16:40: Stephanie (Hooper) Barney created Maida Lou (Stiles) Taylor (1934-). 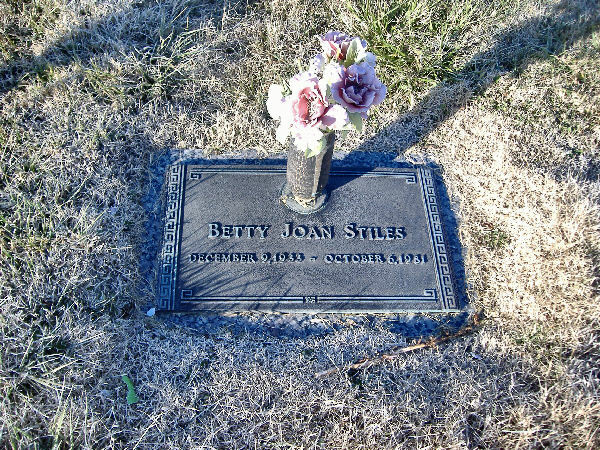 [Thank Stephanie for this] 16:22: Stephanie (Hooper) Barney edited the Primary Photo for Betty Joan (Nelson) Stiles (1933-1981). [Thank Stephanie for this] 16:22: Stephanie (Hooper) Barney uploaded Nelson-18718.jpg for Betty Joan (Nelson) Stiles (1933-1981). 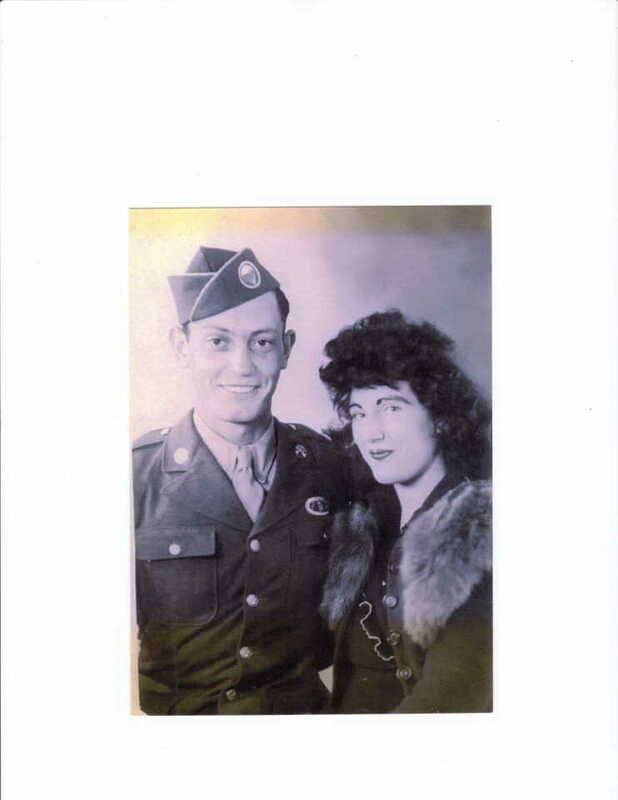 [Thank Stephanie for this] 16:19: Stephanie (Hooper) Barney added Betty Joan (Nelson) Stiles (1933-1981) as spouse for Ralph Verlon Stiles (1930-1996). [Thank Stephanie for this] 16:19: Stephanie (Hooper) Barney created Betty Joan (Nelson) Stiles (1933-1981). 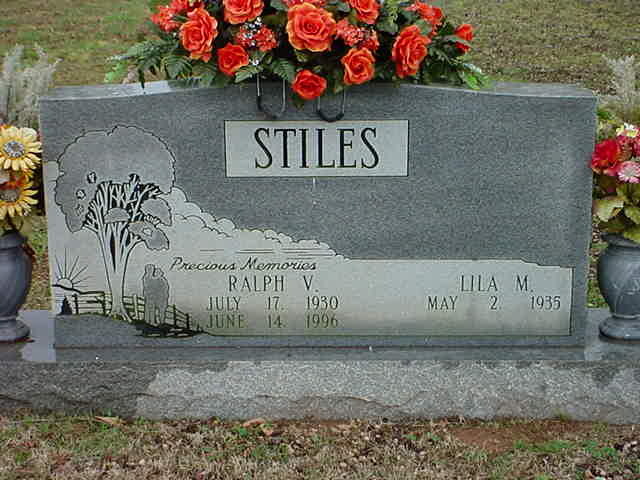 [Thank Stephanie for this] 16:09: Stephanie (Hooper) Barney edited the Primary Photo for Ralph Verlon Stiles (1930-1996). [Thank Stephanie for this] 16:09: Stephanie (Hooper) Barney uploaded Stiles-3615.jpg for Ralph Verlon Stiles (1930-1996). [Thank Stephanie for this] 16:07: Stephanie (Hooper) Barney added Ralph Verlon Stiles (1930-1996) as child for Mattie Ella (Taylor) Stiles (1893-1964). [Thank Stephanie for this] 16:07: Stephanie (Hooper) Barney created Ralph Verlon Stiles (1930-1996). 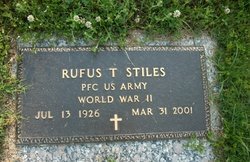 [Thank Stephanie for this] 15:32: Stephanie (Hooper) Barney edited the data for Rufus Theodore Stiles (1926-2001). [Thank Stephanie for this | 1 thank-you received] 15:32: Stephanie (Hooper) Barney added Stiles-3614-2.jpg as Background Image for Rufus Theodore Stiles (1926-2001) [Thank Stephanie for this] 15:32: Stephanie (Hooper) Barney edited the Background Image for Rufus Theodore Stiles (1926-2001). [Thank Stephanie for this | 1 thank-you received] 15:31: Stephanie (Hooper) Barney uploaded Stiles-3614-2.jpg for Rufus Theodore Stiles (1926-2001). 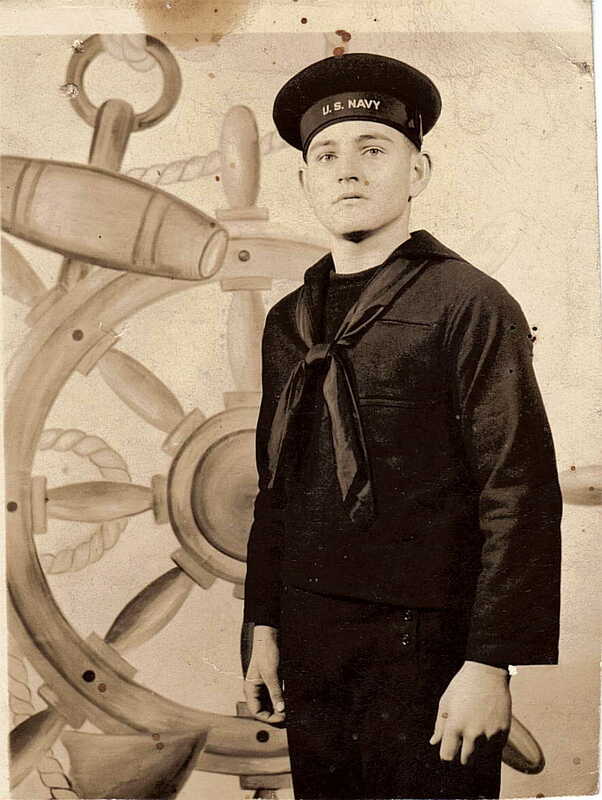 [Thank Stephanie for this] 15:31: Stephanie (Hooper) Barney uploaded Stiles-3614-1.jpg for Rufus Theodore Stiles (1926-2001). [Thank Stephanie for this] 15:30: Stephanie (Hooper) Barney edited the Primary Photo for Rufus Theodore Stiles (1926-2001). [Thank Stephanie for this] 15:30: Stephanie (Hooper) Barney uploaded Stiles-3614.jpg for Rufus Theodore Stiles (1926-2001). [Thank Stephanie for this] 15:24: Stephanie (Hooper) Barney added Rufus Theodore Stiles (1926-2001) as child for Mattie Ella (Taylor) Stiles (1893-1964). [Thank Stephanie for this] 15:24: Stephanie (Hooper) Barney created Rufus Theodore Stiles (1926-2001). [Thank Stephanie for this] 15:09: Stephanie (Hooper) Barney edited the data for Wyoline (Stiles) Clonts (1917-1987). 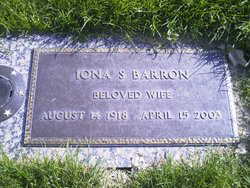 [Thank Stephanie for this] 15:09: Stephanie (Hooper) Barney edited the data for Iona (Stiles) Barron (1918-). [Thank Stephanie for this] 15:05: Stephanie (Hooper) Barney edited the Biography and Status Indicators for [Living Middleton]. [Thank Stephanie for this] 15:04: Stephanie (Hooper) Barney added [Living Middleton] as spouse for Hettie Kate (Stiles) Middleton (1923-2007). [Thank Stephanie for this] 15:04: Stephanie (Hooper) Barney created [Living Middleton]. [Thank Stephanie for this] 14:55: Stephanie (Hooper) Barney edited the Primary Photo for Hettie Kate (Stiles) Middleton (1923-2007). [Thank Stephanie for this] 14:55: Stephanie (Hooper) Barney uploaded Stiles-3613.jpg for Hettie Kate (Stiles) Middleton (1923-2007). [Thank Stephanie for this] 14:54: Stephanie (Hooper) Barney edited the data for Hettie Kate (Stiles) Middleton (1923-2007). (edit sources) [Thank Stephanie for this] 14:52: Stephanie (Hooper) Barney added Hettie Kate (Stiles) Middleton (1923-2007) as child for Mattie Ella (Taylor) Stiles (1893-1964). [Thank Stephanie for this] 14:52: Stephanie (Hooper) Barney created Hettie Kate (Stiles) Middleton (1923-2007). 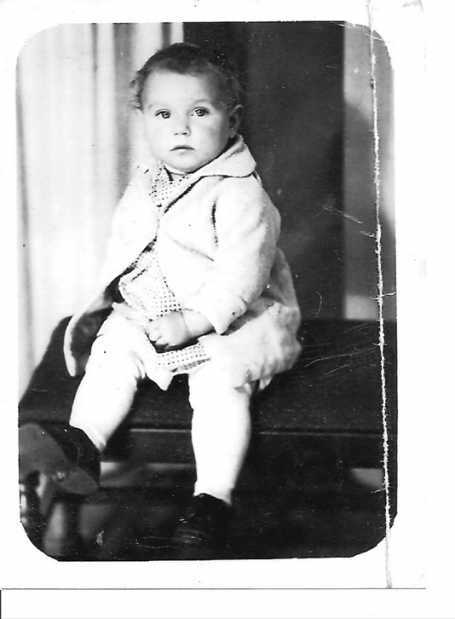 [Thank Stephanie for this] 14:12: Stephanie (Hooper) Barney added Dennis Gary Quinn (1963-2005) as child for Hazel Jean (Sneed) Quinn (1939-1968). [Thank Stephanie for this] 14:12: Stephanie (Hooper) Barney created Dennis Gary Quinn (1963-2005). [Thank Stephanie for this] 13:40: Stephanie (Hooper) Barney added Teresa Kay Quinn (1964-1968) as child for Quince Clyde Quinn (1933-aft.1998). [Thank Stephanie for this] 13:40: Stephanie (Hooper) Barney created Teresa Kay Quinn (1964-1968). [Thank Stephanie for this] 04:02: Stephanie (Hooper) Barney added Quince Clyde Quinn (1933-aft.1998) as spouse for Hazel Jean (Sneed) Quinn (1939-1968). [Thank Stephanie for this] 04:02: Stephanie (Hooper) Barney created Quince Clyde Quinn (1933-aft.1998). [Thank Stephanie for this] 03:05: Stephanie (Hooper) Barney edited the data for Hazel Jean (Sneed) Quinn (1939-1968). [Thank Stephanie for this] 03:00: Stephanie (Hooper) Barney added Hazel Jean (Sneed) Quinn (1939-1968) as child for Mary Emma (Stiles) Sneed (1921-1957). [Thank Stephanie for this] 03:00: Stephanie (Hooper) Barney created Hazel Jean (Sneed) Quinn (1939-1968). [Thank Stephanie for this] 02:51: Stephanie (Hooper) Barney added James Edward Sneed (1937-1985) as child for Mary Emma (Stiles) Sneed (1921-1957). [Thank Stephanie for this] 02:51: Stephanie (Hooper) Barney created James Edward Sneed (1937-1985). 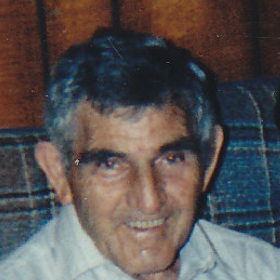 [Thank Stephanie for this] 02:40: Stephanie (Hooper) Barney edited the data for Alvah A Sneed (1915-1997). (edit sources) [Thank Stephanie for this] 02:23: Stephanie (Hooper) Barney edited the Primary Photo for Mary Emma (Stiles) Sneed (1921-1957). [Thank Stephanie for this] 02:23: Stephanie (Hooper) Barney uploaded Stiles-1102-1.jpg for Mary Emma (Stiles) Sneed (1921-1957). [Thank Stephanie for this] 02:22: Stephanie (Hooper) Barney added Stiles-1102.jpg as Background Image for Mary Emma (Stiles) Sneed (1921-1957) [Thank Stephanie for this] 02:22: Stephanie (Hooper) Barney edited the Background Image for Mary Emma (Stiles) Sneed (1921-1957). [Thank Stephanie for this] 02:22: Stephanie (Hooper) Barney removed Stiles-1102.jpg as Primary Photo for Mary Emma (Stiles) Sneed (1921-1957) [Thank Stephanie for this] 02:22: Stephanie (Hooper) Barney edited the Primary Photo for Mary Emma (Stiles) Sneed (1921-1957). 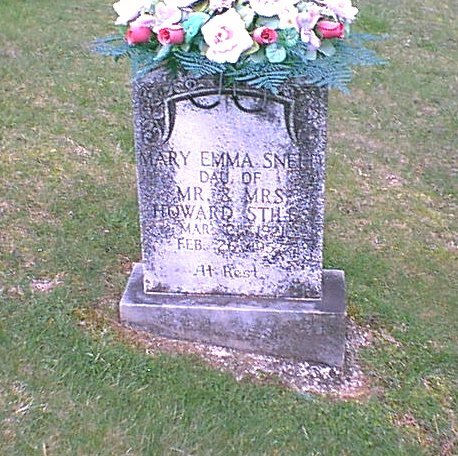 [Thank Stephanie for this] 02:22: Stephanie (Hooper) Barney edited the Primary Photo for Mary Emma (Stiles) Sneed (1921-1957). [Thank Stephanie for this] 02:22: Stephanie (Hooper) Barney uploaded Stiles-1102.jpg for Mary Emma (Stiles) Sneed (1921-1957). 23:59: Stephanie (Hooper) Barney uploaded Stiles-3612-2.jpg for Iona (Stiles) Barron (1918-). [Thank Stephanie for this] 23:57: Stephanie (Hooper) Barney added Stiles-3612-1.jpg as Background Image for Iona (Stiles) Barron (1918-) [Thank Stephanie for this] 23:57: Stephanie (Hooper) Barney edited the Background Image for Iona (Stiles) Barron (1918-). [Thank Stephanie for this] 23:57: Stephanie (Hooper) Barney uploaded Stiles-3612-1.jpg for Iona (Stiles) Barron (1918-).